Summary: Mr. Carillo hired auto dealer fraud lawyers, Consumer Action Law Group to file an auto fraud lawsuit in superior court of Kern County, seeking full recovery of the money he paid, including general damages of the car, incidental and consequential damages, punitive damage, statutory damages, and equitable and injunctive relief. Case Detail: According to the complaint filed, Mr. Carillo was sold a car and the dealer promised that it was in great condition, and free from any mechanical or structural defects. Soon after buying the car, Mr. Carillo immediately started experiencing electrical issues and the dealer failed to communicate with Carillo or to repair the car. On Mr.Carillo’s way to meet his wife, who was in the hospital in labor, smoke and flames started coming out of the front of the car and it burst into flames as he was pulling out of his driveway with his child in the back seat. The fire ignited Mr. Carillo’s work truck, the roof of his home, and part of his house as well as scorching his car. In California, auto dealers are legally required to disclose the true and known condition of a car at the time of the sale. A dealer must inform a buyer of any defects or any prior accidents or damage. California consumer laws also require car dealers to sell cars for the price that is advertised, and to follow strict rules about documenting down payments. Mr. Carillo claimed that C&A Motors misrepresented the quality and condition of the vehicle; Knowingly selling a defective vehicle; Failing to disclose the known condition or history of the vehicle, in violation of 13 C.C.R. § 260.03; Selling the vehicle in a condition not meant for its intended use and purpose, in violation of the Implied Warranty of Merchantability and Fitness; Failing to disclose the vehicle’s prior flood damage; Failure to disclose the vehicle’s Water Damage Title; Failure to honor C&A Motors expressed warranty; Partaking in “bait and switch” conduct; and partaking in conduct that is fraudulent and deceitful. After first encountering the vehicle, Mr. Carillo was lured and “baited” into purchasing the car after C&A Motors made the following representations: (1) the vehicle was free of any severe mechanical defects and/or damage; (2) that the vehicle had a clean title; and (3) that C&A Motors would repair the power door locks. After the purchase of the vehicle, Mr. Carillo discovered that the above mentioned representations were false and that C&A Motors “switched” goods to be sold to Mr. Carillo. In fact, C&A Motors sold the vehicle to Mr. Carillo with severe electrical issues and failed to repair the power door locks, as promised. In addition, C&A Motors sold a car with a history of flood damage that they concealed from Mr. Carillo. As a proximate result of the fraudulent conduct of Defendants, Mr. Carillo purchased a vehicle with a history of flood damage, which was not disclosed to Mr. Carillo prior to his purchase, and of which significantly impacts the value and usage of the vehicle. As a proximate result of the fraudulent conduct of Defendants, Mr. Carillo purchased a vehicle with flood damage and recorded Water Damage Title, which was not disclosed to Mr. Carillo prior to his purchase, and of which significantly impacts the value and usage of the vehicle. Mr. Carillo requested financial damages and relief, including full restitution and/or disgorgement of all revenues, earnings, profits, compensation, and benefits, in an amount subject to proof at the time of trial, which may have been obtained by C&A Motors and all Defendants, as a result of the wrongful business acts and/or practices of C&A Motors and all Defendants, and each of them, as alleged herein. 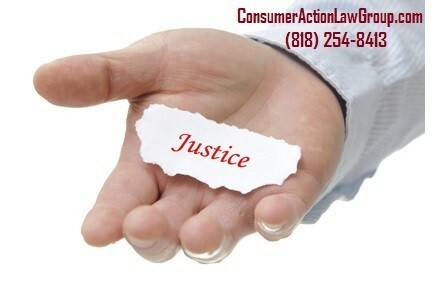 When a dealer violates the consumer laws in California, attorneys fees are awarded by the court under the Consumer Legal Remedies Act. In addition, a consumer is entitled under the Song-Beverly Act to recover damages as part of the judgment a sum equal to the aggregate amount of costs and expenses, including attorneys’ fees, reasonably incurred in connection with the commencement and prosecution of legal action. The case was filed in February of 2015, and was litigated for several months until the dealer and all defendants made an out of court offer to settle the lawsuit. Mr. Carillo recently entered into an agreement to resolve his claims against the dealer, and the case has been voluntarily dismissed.